The FC2020 is a digital PVDF body, gel filled pH electrode with a built-in temperature sensor for temperature compensated measurements in a single probe design. 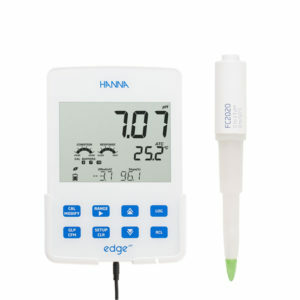 This probe features a 3.5 mm connector designed exclusively to be used with Hanna Instruments edge® Tablet Meters. The FC2020 electrode features a built-in microchip that stores sensor type, serial number, and calibration information. It also features an open junction design with viscolene gel electrolyte, a sensing bulb made of low temperature glass, and a conical tip shape. This design consideration is ideal for pH measurements in samples such as meat, salami, miso, pickle ferments, milk, yogurt, cheese. The recommended operating temperature range is from 0 to 60°C. The conical shaped tip design allows for penetration into solids, semi solids, and emulsions for the direct measurement of pH in food products including meat, cheese, yogurt, and milk. The glass tip uses a special LT (low temperature) glass formulation with a lower resistance of approximately 50 megaohms compared to GP (general purpose) glass with a resistance of about 100 megaohms. This is beneficial since many food products are stored at low temperatures. As the temperature of the glass decreases in the sample, the resistance of the LT glass will approach that of GP glass. 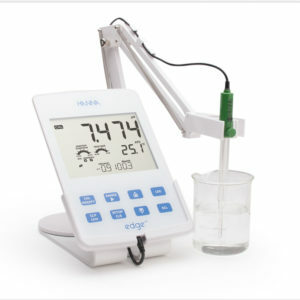 If using GP glass, the resistance would increase above the optimum range, resulting in increased impedance and ultimately affecting the measurement. Suspended solids and proteins found in food products will clog a conventional ceramic reference junction. This clogging will impede the measurement circuit between the indicating glass electrode and the internal reference resulting in slower response time, erratic readings and frequent electrode replacement. 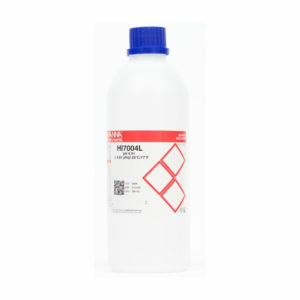 The open junction design consists of a solid gel interface (viscolene) between the sample and internal Ag/AgCl reference. 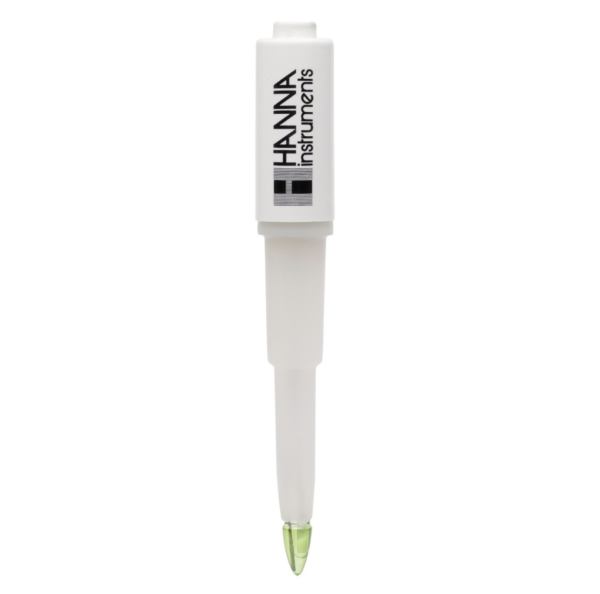 This interface not only prevents silver from entering the sample, but also makes it impermeable to clogging, resulting in a fast response and stable readings.